Curtain Up! Tonight Newsies previews on Broadway. 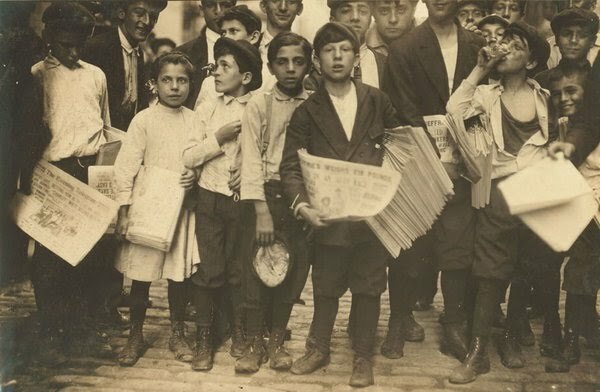 Recently, The New York Times ran this article on the real newsboy strike on which the musical is based. It is a great piece for making connections or integrating nonfiction. Even if you're not planning on using this as a lesson, enjoy the clip from the less-than-successful movie version of Newsies.